I observed warrior training yesterday at Avilion Isle. It was a lot of fun! Undergoing some musical therapy today. I performed two back to back shows today. One at Therapy and the other at Rose Farina’s Sim Opening: Ooohlalala Mode. Claudia took this picture…sportin’ some Steampunk clothes…oh I do Love CreeveTown. One of my good friends is the CEO of Ding! Designs, Zen Paine. He and his business partner, Rue Oh have a jewelry and accessory store on Algira. Rue is the creator of some of the most intricate and beautiful pendants I’ve seen. 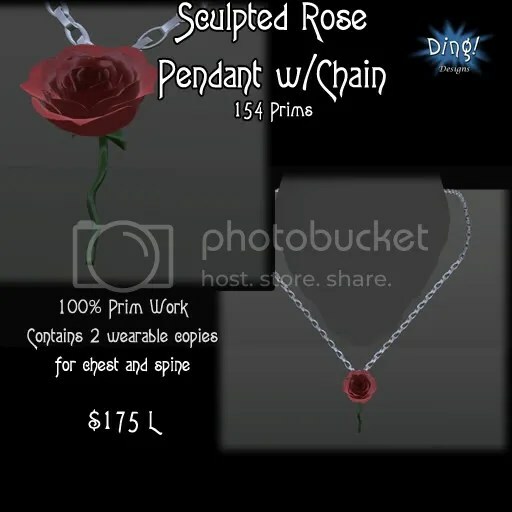 Below is a picture of a Rose Pendant that is for sale now at Ding!. Music and Art creations from Sl and RL. *All proceeds will go to Africa to fight poverty and AIDS. TOGETHER WE CAN HELP MAKE POVERTY IN AFRICA HISTORY!!! FIRST LIFE CAN BE DIFFICULT WITH GOVERNMENTS AND SYSTEMS. 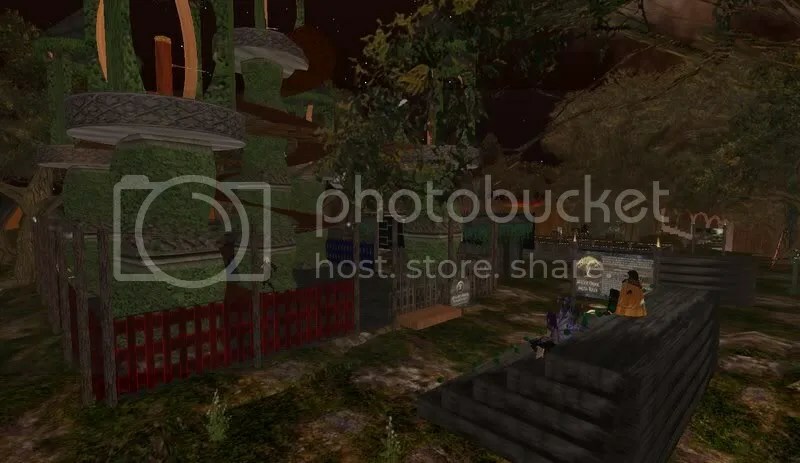 SECOND LIFE IS BORDERLESS, POWERFUL AND A GREAT PLACE TO COME TOGETHER AND HELP THE PEOPLE OF THIS WORLD. • Every three seconds a child dies from extreme poverty. • 1billion people around the world live on less than $1 a day. • 12 million children have been orphaned by HIV/AIDS in Africa and that number is expected to climb to 18 million by 2010. • Education is a powerful investment we can make to fight poverty, yet worldwide over 77 million children are not enrolled in primary education, more than half of whom are girls. • Over one billion people lack access to clean water and 2.6 billion do not have access to basic sanitation. Every 15 seconds, a child dies from problems caused by lack of clean water. The Opportunity: How can we beat extreme poverty and global disease? Today, solutions exist that are affordable, achievable and sustainable. We have the science, technology and resources to beat global disease and extreme poverty. • AIDS drugs can now cost as little as $1 a day. • A bed net can save a child’s life for 5 years by preventing the contraction of malaria and costs only $5. • You can put a child in school for a month for $13. • A well provides clean, safe drinking water for 20 years at a cost of only $20 a person. What is America already doing to help? • Thanks to U.S. support through the Global Fund to Fight AIDS, TB and Malaria, as well as the President’s Emergency Plan for AIDS Relief, almost 1.3 million people with HIV/AIDS are receiving lifesaving anti-retroviral treatment. • In 2005, under pressure from ONE, the G8 agreed to increase aid to Africa by $25 billion and to all developing countries by $50 billion by 2010. 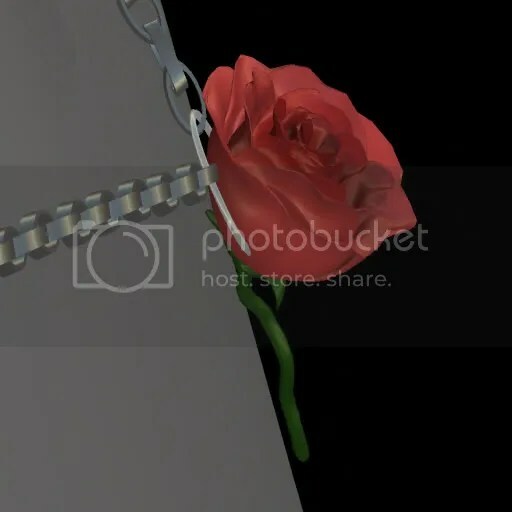 The G8 leaders and the other shareholders also agreed to cancel 100% of the multilateral debts owed by qualified Highly Indebted Poor Countries (HIPCs). Already, the U.S. has cancelled 100% of the debts owed by 21 of the 40 HIPC countries. This will help kick-start the efforts of poor countries to achieve the Millennium Development Goals — but these promises will only be kept if we keep up the positive pressure. • The Millennium Challenge Account (MCA) is an innovative new U.S. effort to support countries with a record of good governance and a commitment to investing in their people and economic growth. Countries design compacts around their development priorities, and we have already begun to see lifesaving benefits in poverty reduction as a result of the MCA. One in six African children dies before the age of five. Most of these deaths could be prevented. Africa includes some of the poorest countries in the world. In much of Africa south of the Sahara, harsh environmental conditions exacerbate the conditions of poverty. 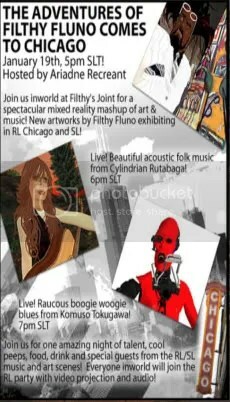 Filthy’s doing a private exhibit in Chicago! But its open to the public in SL. 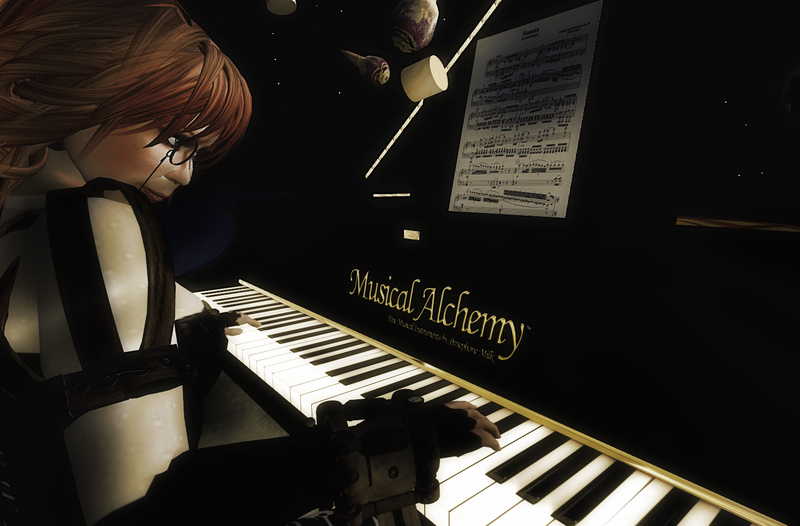 Join us on Artropolis Jan 19th 5pmSLT for music by Cylindrian Rutabaga (6pmSLT) and Komuso Tokugawa (7pmSLT). There are some special guests in attendance at the real life show…so lets pack the place out and show our support for Filthy’s incredible artwork!! Simply click the picture to be taken to the PARTY!! OH YES! 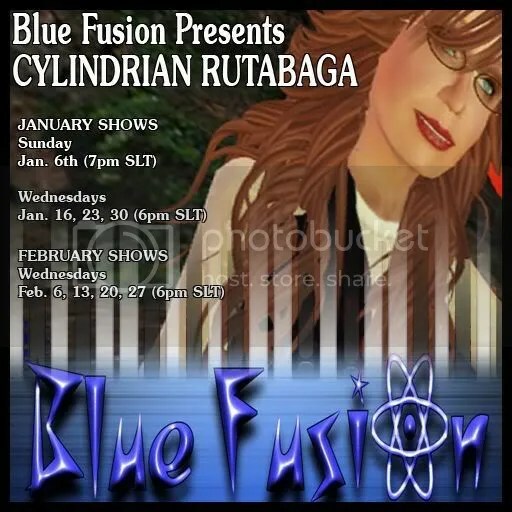 I have a regular standing gig for the next two months at Blue Fusion! Stop by their website and check out the video they have up. Blue Fusion is an established venue with a number of regular guests, art galleries, wedding chapel, stores, and such. It’s managed by Holli Hollwood who sings beautifully and is one of the nicest venue owners I’ve worked with. Very personable and knows how to make an artist feel appreciated. Her staff is polite and on the ball with getting out announcements, managing events, and hosting. One of the really exciting events that will be happening in February…the sim I reside on Artropolis will be moving next to Blue Fusion’s Sim. This will be a great move for both sims involved and I look forward to the day it happens.